Sadly, the bad weather has caused both the first Book Club meeting and the first Tai Chi class to be cancelled. The Book Club will now meet on Tuesday 20th January at 7pm, and the first Tai Chi class will be on Wednesday 28th at 2pm. 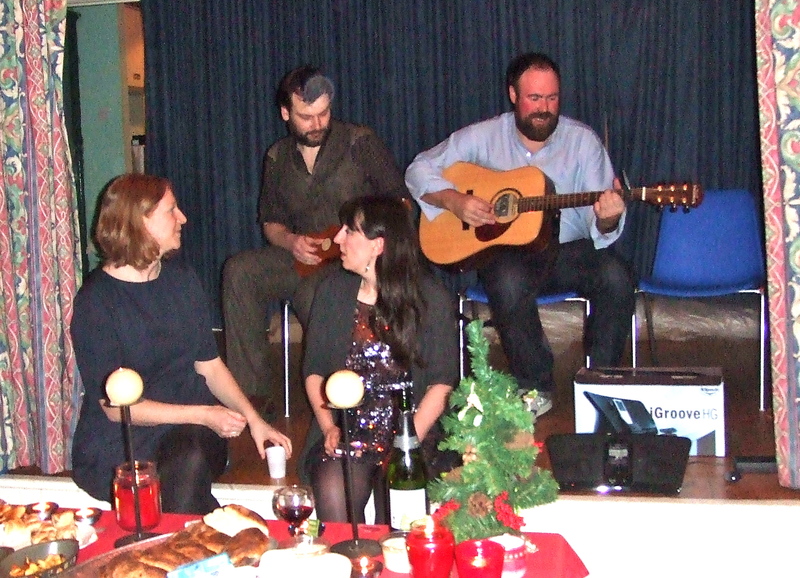 One recent event in the Hall that did go ahead in suitable style was the Hogmanay Party. Joan, Hazel, Keith, Julia and others did a great job pulling it all together and, despite being organised at the last minute, the evening went well. Over 50 people attended, with plenty of snacks and drink brought along, some dancing and much socialising between villagers and visitors. The star turn was a fine impromptu musical performance from a party staying at Shoreside. Their playing and very beautiful singing added much to the evening and, after the Bells, people dispersed to First Foot elsewhere in the village. A sum of £87 was collected, and once the cost of hiring the hall has been deducted, the balance will be donated to the hall funds.